The Crayon Box Baby Quilt is a fun and easy quilt, that can be easily constructed in a weekend. It features bright pops of colour surrounded by crisp white borders to give a simple, modern appeal. It is a modern “eye spy” style quilt. 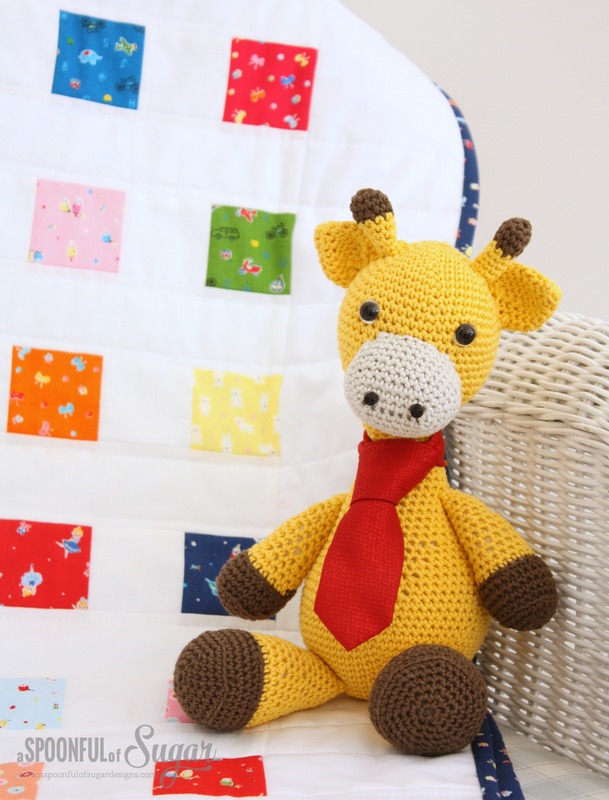 Toddlers and young children will have fun spotting all the small details in the colourful squares. 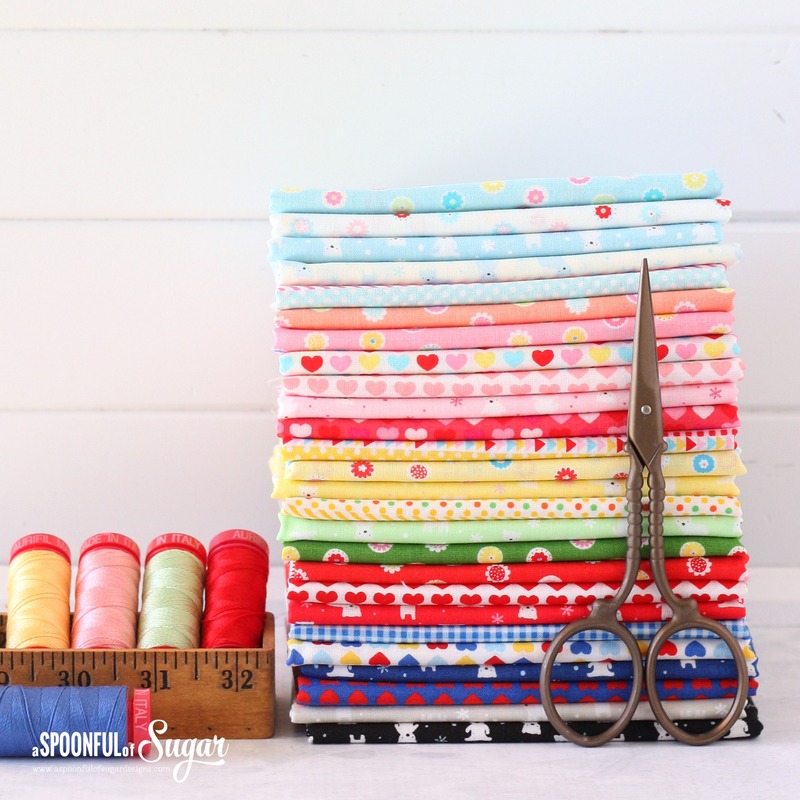 The pops of colour are from Minny Muu range by Lecien fabrics. Lecien release new ranges each year, that all feature small scale prints in bright colourful shades. 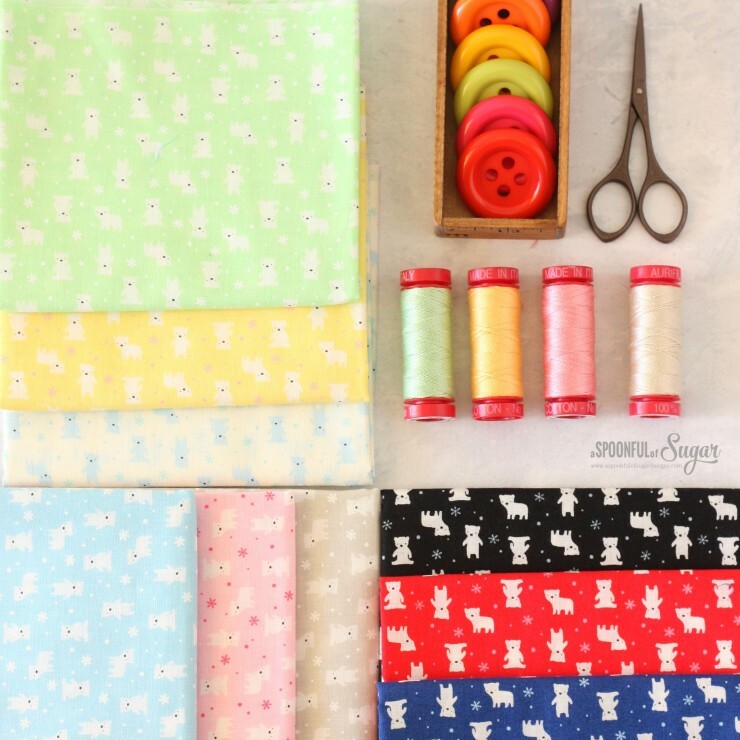 I have used the Minny Muu Spring 2016 collection (featuring polar bears, hearts, flowers and more) to be released in Spring 2016. I combined it with Minny Muu 2015 which includes birds, ballerinas, snails, bow, cars and more. If you would like to make your own Crayon Box Baby Quilt, here is a run down of supplies and construction technique. I didn’t take many photos during the construction so this is more of a general guide. You will need to have some basic quilting knowledge to complete this quilt from these directions. 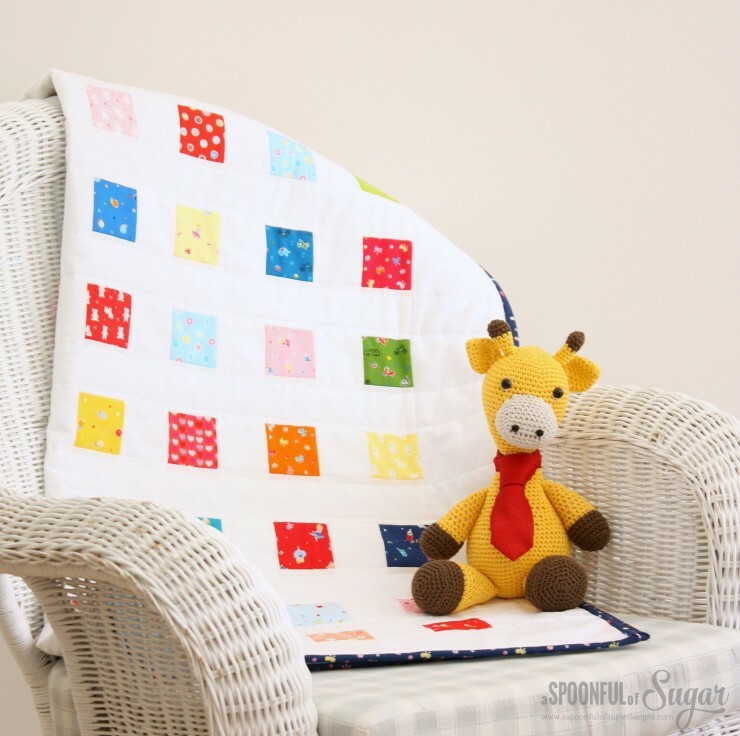 The quilt measures 38 x 38 inches square which is a good size for a newborn baby, and for a toddler to use as a lap quilt or car quilt. 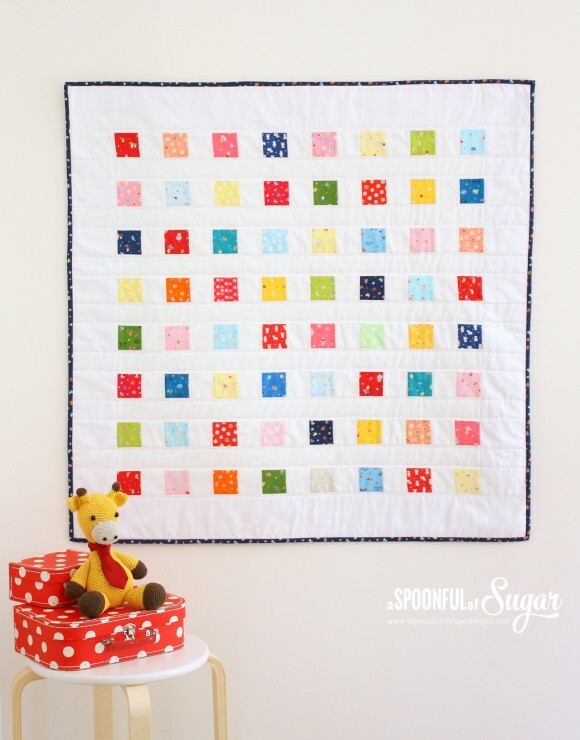 It can be easily made larger by simply adding additional rows of squares to suit your requirements. Assorted brightly coloured fabrics, featuring small images that can be used for “eye spy”. 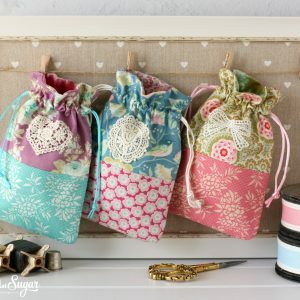 Fabrics should measure at least 2 1/2 x 2 1/2 inches square. 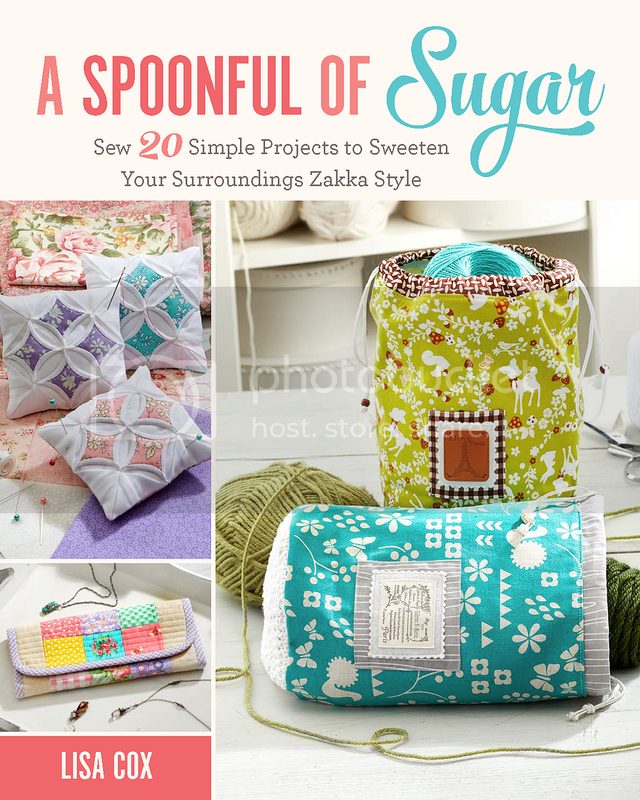 This is perfect for mini charm squares, charm squares, or jelly roll strips. I used Minny Muu from Lecien Fabrics – it is available from Sew Stitching Happy. 5. Lay out 8 coloured squares, alternating with a white square, so that you have a row that is made up of 8 coloured squares and 7 white squares. Starting from the left side, take the first coloured square and first white square and position them so that have the right sides facing. Stitch them together along the right hand side using a 1/4 inch seam allowance. 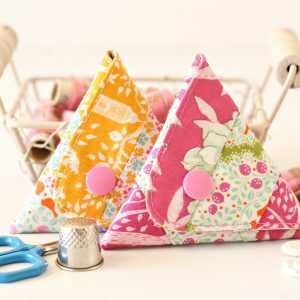 Open up and press the seam allowance towards the coloured square. Continue adding squares one at a time in the same manner until you have a strip measuring 30 1/2 inches. 6. Repeat step 5 until you have 8 strips. 7. Lay out the 8 strips from Steps 5 and 6, with a white strip in between each coloured row. 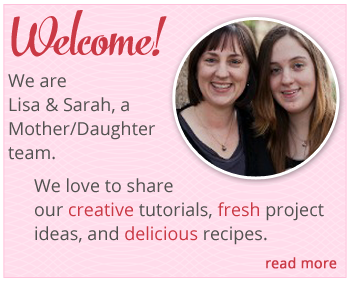 (Refer to the photo at the top of this post for layout). 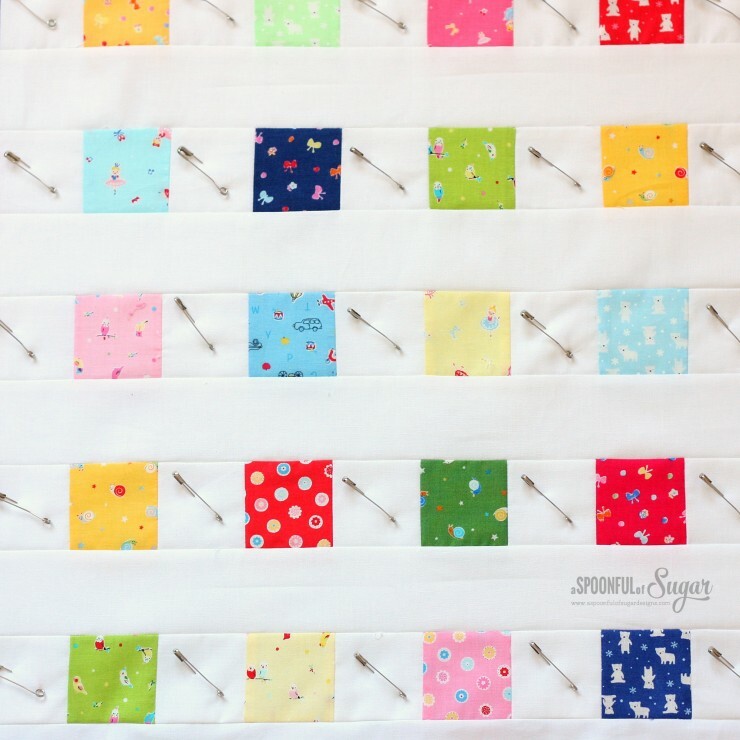 Stitch the rows together to form a panel measuring 30 1/2 inches square. 8. Add the two white borders that measure 30 1/2 x 4 1/4 inches to each side. Press. 9. Add the two borders measuring 38 x 4 1/4 inches to the top and bottom. Press. You will now have a quilt top measuring 38 x 38 inches. 10. Lay out the backing fabric with the wrong side facing upwards. Position the batting on top, and then the quilt top. Baste together with safety pins. 12. Stitch the binding strips together and then press in half lengthwise. Attach the binding using your preferred method. 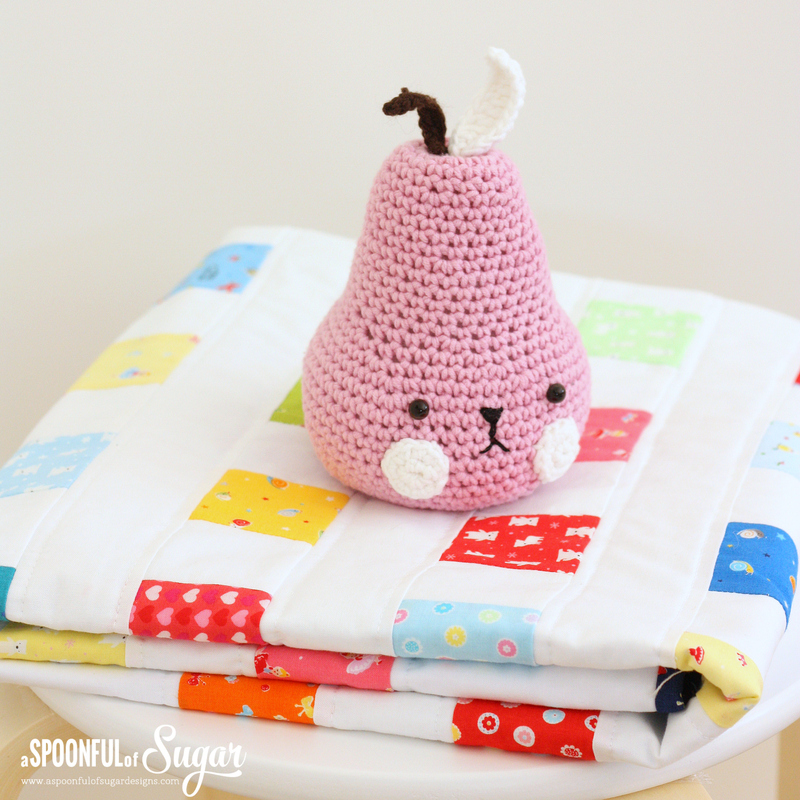 This was a fun quilt to sew and would be a great baby shower gift. 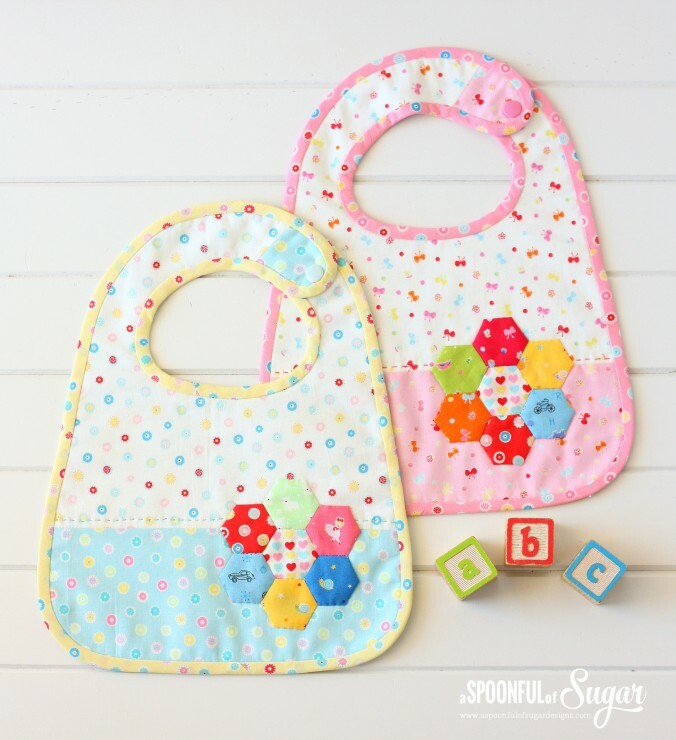 Check out our Hexagon Baby Bibs, which also use sweet Minny Muu fabric. That is absolutely adorable. 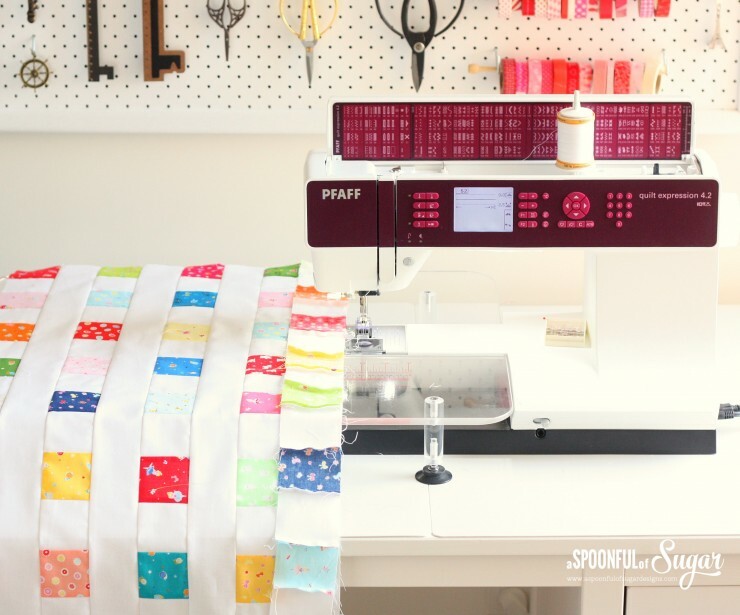 It’s possibly the one to make me take up quilting again – with three small children to look after, quilting has taken a back seat – but I have boxes of gorgeous fabrics in the attic and I love that you could probably put any fabric in that quilt and it would look great against the white. Thanks for all the instructions too. 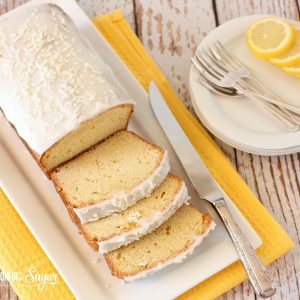 Keep up your fantastic ideas! Love your posts. Darling quilt. I need to go through my mini squares and get sewing. Hopefully for a grandchild on day. Keep up the good work. Love it. So cheerful. Great design. I have never quilted before your design looks quite easy and the instructions I feel I could follow wish me luck. Thanks.